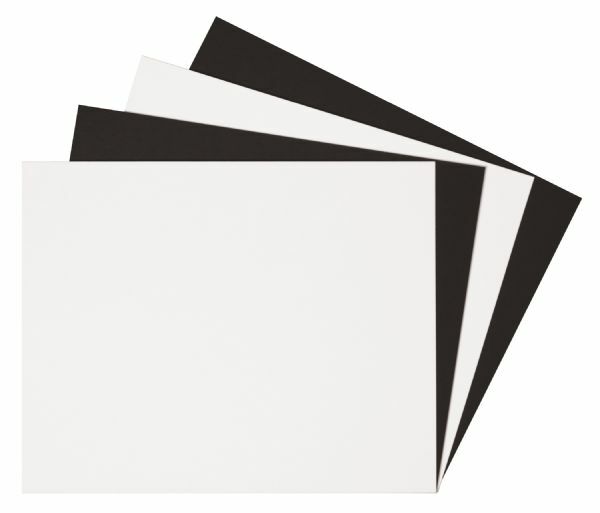 One side black one side white mat board with a cream colored core. * Traditional board for mounting or matting photographs in standard photography sizes. The color is black/gray, white/ivory. The size is 16" x 20". The type is mat board. 20.75" x 16.5" x 2"